Logan Property Holdings from China’s Guangdong province, joined forces together with their Chinese counterpart Nanshan Group (who are developers of the current Thomson Impressions) to put up a bullish bid of over $1 billion (or $1,050.70 psf ppr) for the 99-year leasehold land parcel at Stirling Road (the new project is now known as Stirling Residences). 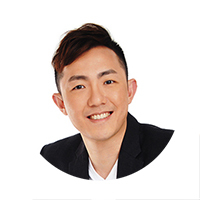 This is in fact Hongkong-listed company Logon Property’s first ever attempt in Singapore’s Government Land Sales (GLS) programme, and their bid will also set a new record for land tenders in the Queenstown precinct. According to some market watchers, such bullish bids will soon become a norm for land tenders by the government as a recovery in the property market is being widely expected and also the limited supply of land parcels made available. The Stirling Road site was first being made available for sale in March 2010, under the Reserve List as 2 adjoining sites, before they were being merged into one under the 1H 2012 GLS programme. It was then finally being triggered for sale in April 2017, after a minimum bid of $685.25 million was received. 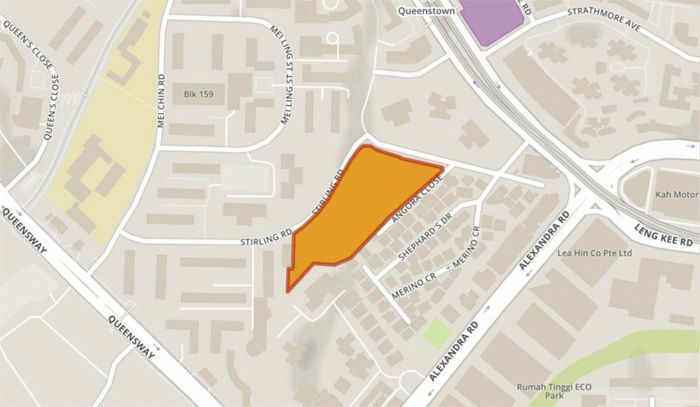 Spreading across 227,000 square feet and situated near Queenstown MRT Station, the site is expected to yield approximately 1,100 units in total. Despite the size of 2.11-hectare and the projected financial commitment in place, the site still drew a relatively strong demand from 13 property developers in total- with close to half of them submitting bids of more than $900 psf ppr. 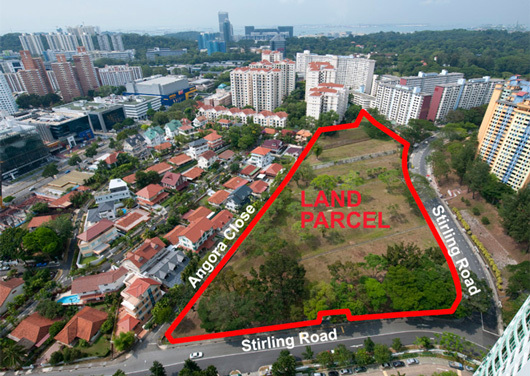 Property analysts have noted that the number of developers involved in the bidding for this large residential plot at Stirling Road clearly reflects their buoyant sentiments and hunger for limited sites for development. Logan Property Holdings managed outbid the likes of some “regular faces” in Singapore’s land tender scene. For instance, they have topped the 2nd highest bidder MCL Land (who are developers of the existing launch Lake Grande) by 8.3% and 20.6% higher than what MCC Land paid for the Queen Peak condo’s site ($871 psf ppr in June 2015). In addition, the top bid was above the analysts’ expectations of between $780 to $1,000 psf ppr, which signals property developers’ strong confidence in the residential market of Singapore and believe that it could soon return to its former glory days. The projected median selling price for the future Stirling Road new launch condo is estimated to be from $1,700 psf upwards. Another interesting note in this land tender, is the amount of Chinese developers involved – such as KingsFord Development (developers of the current launch Kingsford Waterbay) and China Construction (who won a site at West Coast Vale in recent months), despite the limitation of funds outflowing set by the Chinese government. Also involved in this land tender are some of the regular & active big developers in Singapore, such as OUE group (developers of high-end condo project OUE Twin Peaks), UOL Group (the Clement Canopy at Clementi Avenue 1 being their most recent launch in Singapore), Hong Leong Group (who already have a project running in the Queenstown precinct – Commonwealth Towers) and GuocoLand (with their Martin Modern condo project set for launch in 2nd half of 2017).